One of the reasons I like to use “fiction that doesn’t fit in” as my tagline is that it reflects how for most of my life, I haven’t fit in well. As a kid, I moved around a lot owing to changes in my father’s federal employment, and in my grade level. I wore clothes that were neither name-brand nor trendy throughout elementary school. In my middle-school years I joined a K-8 school where most of my classmates had grown up knowing each other. By high school I’d copped on to my outsider status, and I started to make it work for me by joining Air Force Junior ROTC and, later, Law Enforcement Explorers. Yet, there were other ways I struggled. My grades were good, but I had trouble processing instructions in class. I zoned out a lot, and when I was called on, I seemed always to say the wrong things. All of these factors made me an easy target and contributed to my sense of feeling stupid and different. “Jenna’s Truth“*, a short YA novella about an Australian teen targeted by “mean girl” bullies in her high school, hit home for me in a number of ways, not least because my sons have entered the age where social media and peer validation can start to act at cross-purposes. The book reads like a set of diary entries, with a convincing voice that made me cringe at points, recognizing the gullible girl and her efforts to belong. Jenna doesn’t try to explain “why” — a question that isn’t always relevant when you’re in the thick of it — but rather focuses on her sense of isolation from other peers and adults. I couldn’t help but contrast Jenna’s unfortunate experience with the lighthearted Australian comedy-drama “Worst Year of My Life Again,” in which a school bully also figures, but is handled with grace and good humor by a close group of friends. Indeed, “Jenna’s Truth” also contains crucial clues to survival, if played right: swimming (as a swimmer, I appreciated the level of detail that went into showing how the sport could calm Jenna), the childhood friend who knows her best, the teacher who takes her under her wing, the loving (if at first a bit oblivious) mum. However, it’s entirely realistic that Jenna doesn’t recognize these clues for what they are, so mired is she in her woe. I’ve certainly been there; it’s one of the hallmarks of depression and anxiety. While the story’s conclusion is, as some reviewers have commented, a bit pat for the seriousness of these disorders, in my experience it isn’t unrealistic to see those glimmers of light, given a bit of perspective, before the hard work of recovery kicks in. For those seeking a deeper story experience, in fact, this may not meet expectations; however, the style and voice are an advantage in reaching children with reading disabilities, who may not be able to process more complex ideas or sentences. This enables the book to reach the widest possible number of readers, a critical difference for children with disabilities, who disproportionately experience bullying and the sense of not belonging. Their own lack of maturity in understanding that having to force friendship, rather than let it develop naturally (as Jenna’s relationship with her friend Alyssa did) means it’s better to let it rest, just as how a “friend’s” efforts to change you (as Krissy’s makeover did) mean they don’t accept you as you are. Adults’ 20/20 hindsight that tells us to own the things that happen to us, to speak our truth rather than let others’ truths define and diminish us — and our difficulty in empathizing how much more difficult this is for untested teens. These are lessons that continue to follow us through life. Even now, watching the compromises that others must make to advance their careers leaves me feeling out in the cold, and being thrown under a bus full of colleagues can still feel like the end of the world. Adults who read “Jenna’s Truth” with their teens might keep these lessons in mind for themselves, that we are perhaps not as far removed from the high school halls as we’d like to believe, and that there is always a chance for a fresh start. 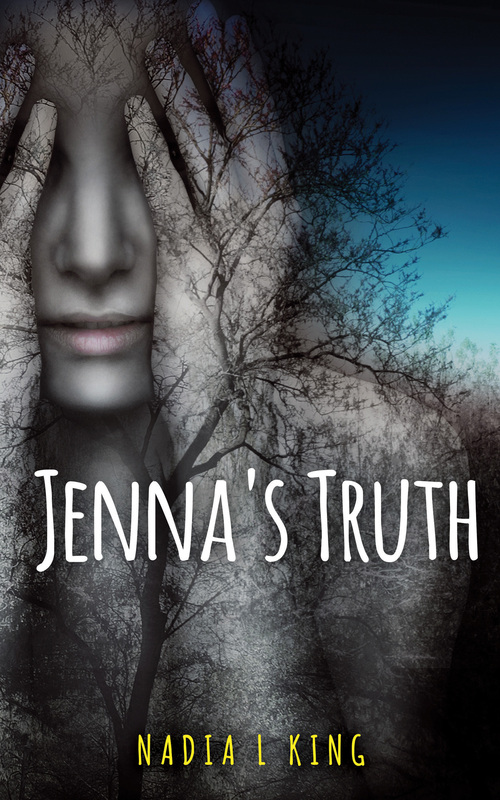 Get your copy of “Jenna’s Truth” at the Aulexic website! *Disclosure: I received a copy of this book from the publisher in exchange for an impartial review.